© Copyright 2016 Mustafa Pancar. All rights reserved. 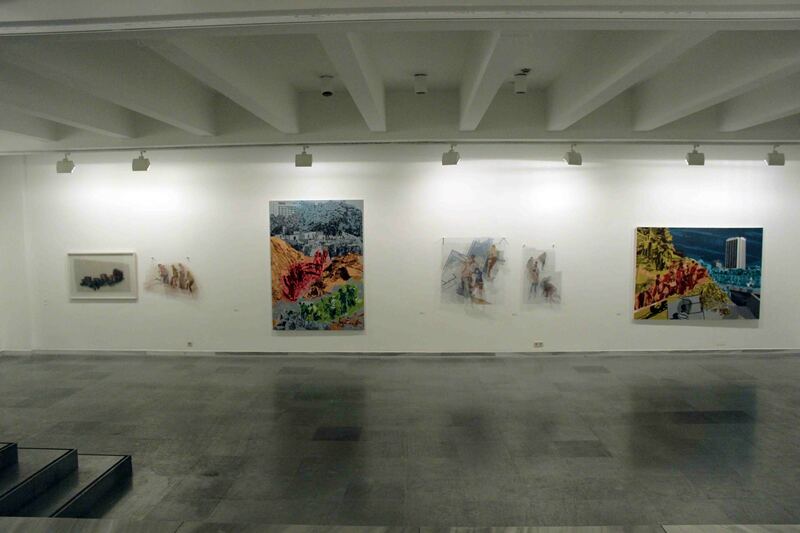 This idea proposed by Chantal Mouffe is of definitive importance in the general sense, but even more significantly, it points to a process that marks the meaning of Mustafa Pancar’s paintings and the total contemporary political-cultural-economic environment in Turkey. 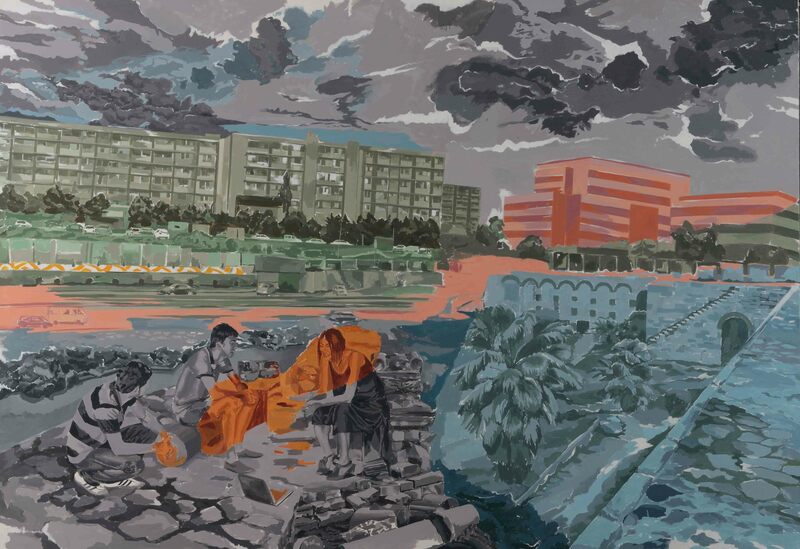 A viewer who is not informed about developments in contemporary art and this process that has taken shape from the 80s to the present day, might have difficulty in understanding the context of this continuous work that has taken shape over 20 years. 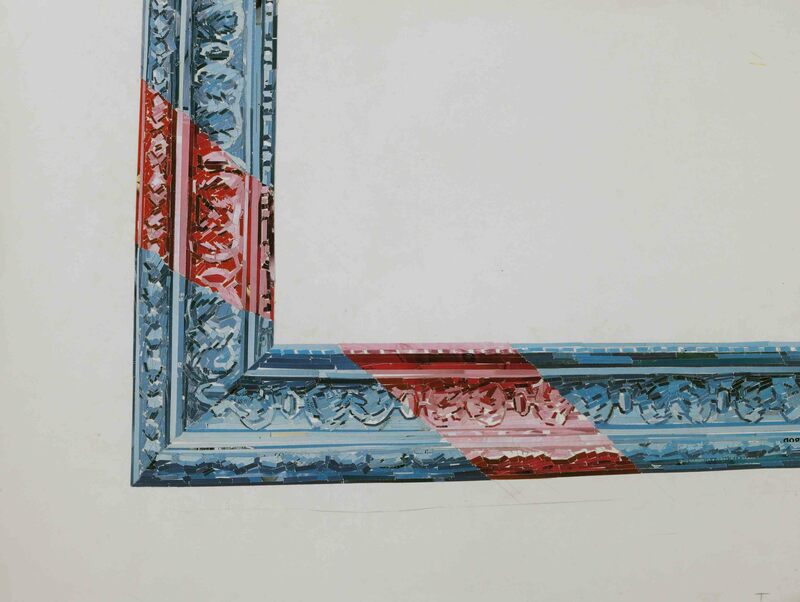 Pancar’s paintings both mark this general process, and in particular are related to the social-cultural developments of Istanbul, and to a large extent, the Postmodern art represented here. Turkey’s EU accession process that began in the 90s triggered the exchange of art and culture in the cultural field, and opened a path to connect with global cultural networks and for individuals to develop special projects. The relationship between artists and curators improved, and their visual and textual manifestos against inadequate democratization became visible. 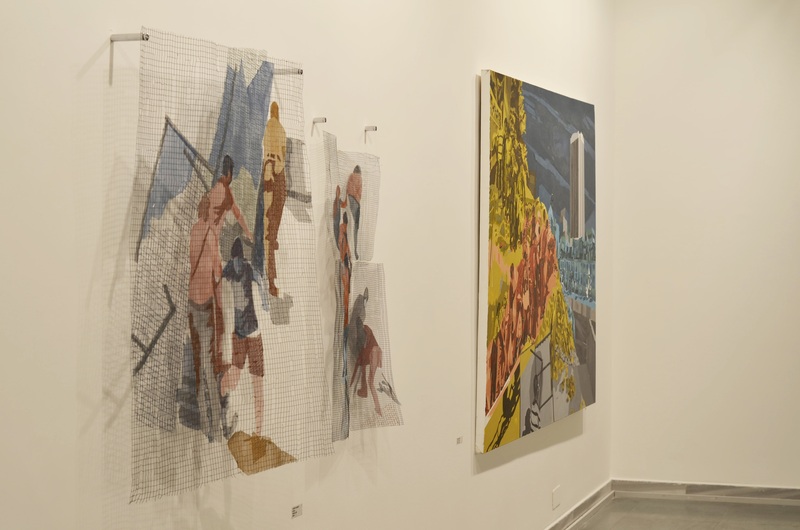 We can then state that as a result of this process, the rift between Istanbul-centred contemporary art production and Ankara-centred cultural policies widened. From that period on, EU cultural agents and independent groups in Turkey have taken care to acknowledge each other on the Postmodern and global platform of mutual understanding. This encounter no doubt takes place between the art and cultural centres, curators, theorists and specialists of countries, but the real relationship stems from milieus of art production and the mediation and aims of artists. From the outset, Postmodern art production in Turkey reacted against neo-capitalist urban transformation; so much so that, an examination of this accumulation of production alone allows one to observe that, despite having a very important historical texture, Istanbul has witnessed the emergence of numerous alarming architectural projects. Despite being a city with a historicity that evokes admiration, interesting zones of tension and contrast, the habitat that democratic process necessitates in terms of daily life and public services is by no means adequate. The tough conditions of the city’s infrastructure in regard to tradition, modernity and globalization, the chasm between wealthy and impoverished districts, differences between social classes, the many contrasts between rural and urban communities and the clashes between macro- and micro-cultures, from the 90s to the present day, formed the conceptual-formal-aesthetic basis of artists and art movements with a dissident and socially responsible outlook. The production and activity of the Hafriyat Group in the 90s can be compared to the New Leipzig School’s production and activity in the 90s. The similarities are about their experience of difficult phases such as an ideological void, a search for cultural identity and acclimatization to a new period during the transition to globality of a generation born during the Cold War, and the invention of perhaps not new, but distinctive concepts and methods. As the validity of neo-expressionist painting that experienced its golden age during the 80s was questioned during this period, the passion of these artists for painting stands out. Here, painting acted as the medium between the melancholy of the past, and a hope for the future. It was in this environment that I have briefly outlined that Mustafa Pancar, founding member of the legendary Hafriyat Group, that was active from the early 90s until 2008 especially in Istanbul with its exhibitions characterized by black humour and dissent, stood out as an artist who has remained loyal to this process, and continues to decipher the complexity of the city. 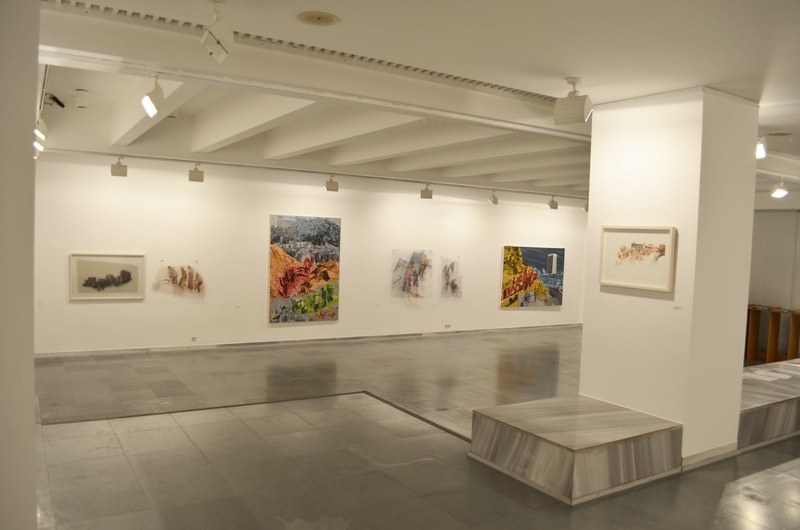 The Hafriyat Group fulfilled a necessary function by expressing its individual views on the political conflicts in Istanbul, traditions, unstable Postmodernism and warped greed for consumption via paintings, prints, collages, photographs and installations. Now in their middle ages, these founding members work independently like Pancar. 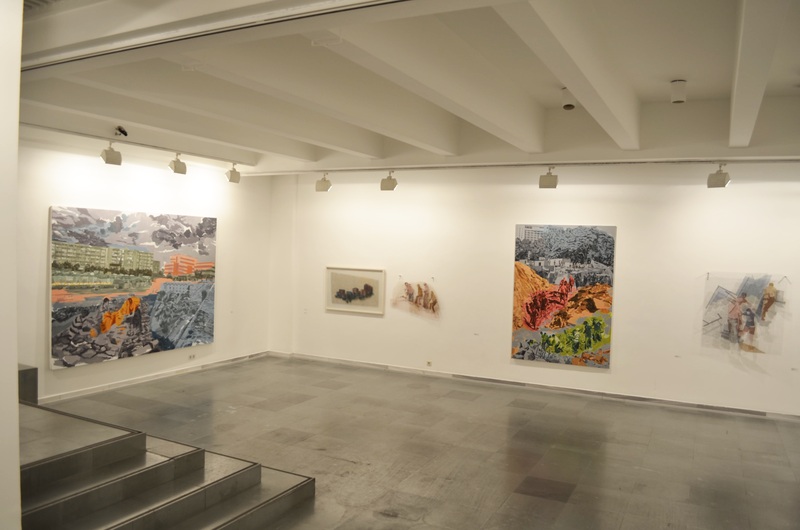 Pancar’s current studio is in an old apartment in the neighbourhood of Kurtuluş, which once had a majority population of Armenians and Greeks, and has fortunately not yet been subjected to neo-capitalist degeneration. He feels he belongs to this neighbourhood, and believes he can sustain his distinctive dissident stance regarding the transformation of the city. 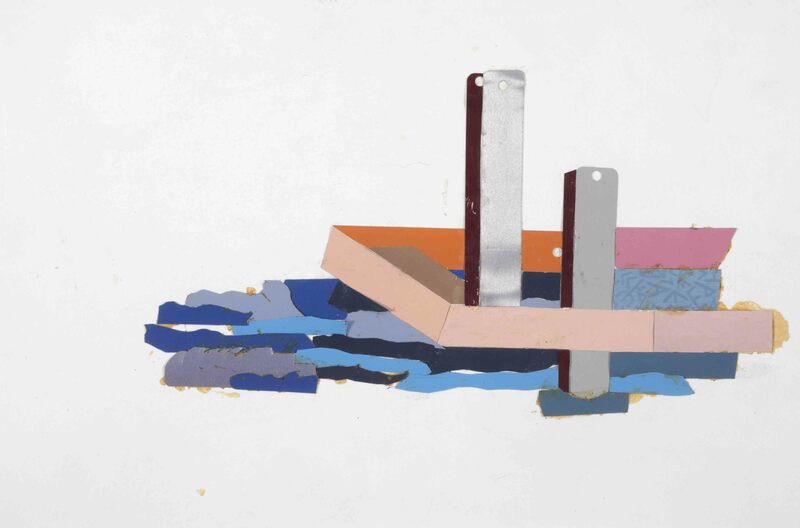 We observe that the Hafriyat Group’s vision of painting and work is influenced by the relational aesthetics of Expressionism, Fluxus and Pop-Art. This vision enabled them to circumvent the division and rigid choice between social realism and abstract art, a distinctive condition of the Late Modern period in Turkey. The group’s members, the most renowned of which were Mustafa Pancar, Hakan Gürsoytrak, Antonio Cosentino, Murat Akagündüz, Neriman Polat, Nalan Yırtmaç, Fulya Çetin and Banu Birecikligil, had different sources and references, but they worked with a shared pool of theoretical and practical methods, and searched for a new language of production. 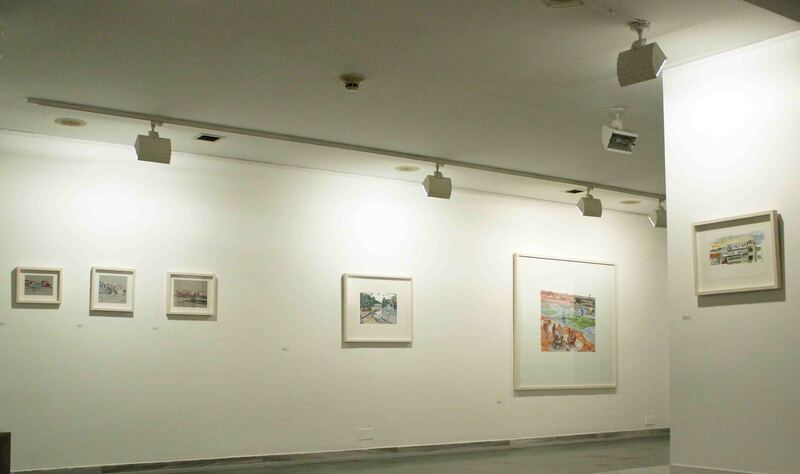 Pancar’s encounter through art with social political developments, and the heterotopias and utopias of a society experiencing tension began in the mid-90s with the foundation of the Hafriyat Group, and gained renown with the group’s purpose-oriented exhibitions. Although new artistic emphases, experimental techniques, a certain maturity and tranquillity are to be observed in his most recent work and exhibitions, he remains loyal to his impassioned purpose. 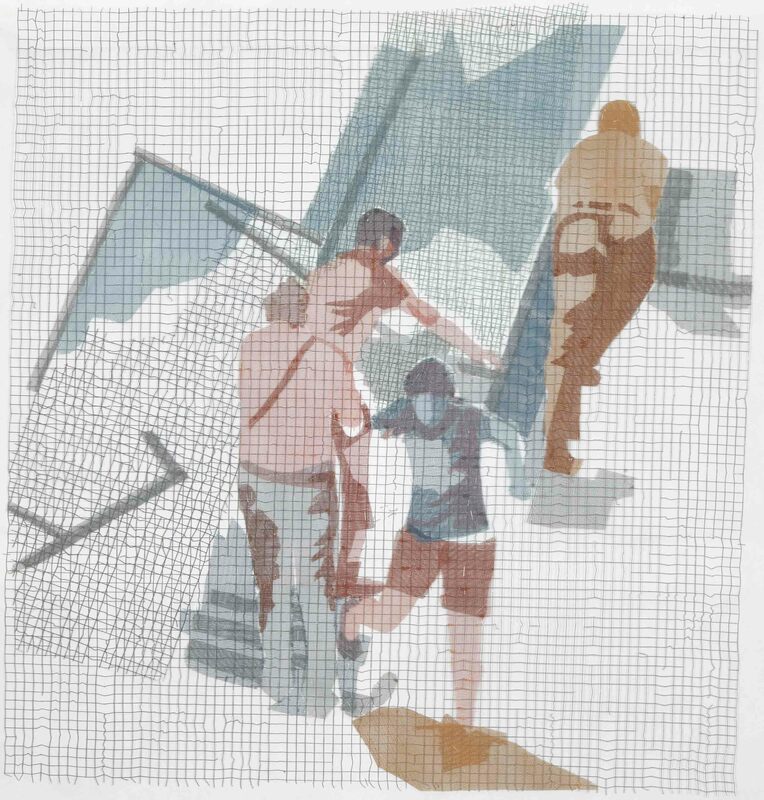 In Pancar’s oil paintings, drawings and collages, broad fields of colour and fragmented urban landscapes are juxtaposed and brought against each other as abstract and figurative structures respectively. This contradictory game masterfully attains a harmonious whole; however, it also reflects the position of the individual in the face of the determined inconsistency and extreme demands of the city. When this settlement of accounts that takes place on the surface of the painting is investigated, the content of the figurative narration comes to the fore. The assumed harmony provided with fields of colour functions as a healing ointment against the unbearable for the individual who must experience the daily journey in the labyrinth of the old and new, the demolished and the constructed. All in all, the main component of the urban adventure displayed in the paintings is figurative narration. The figures reflect both the will to overcome the vulgar political and neo-capitalist power that interferes in their habitat, and a potential disquiet and revolt. 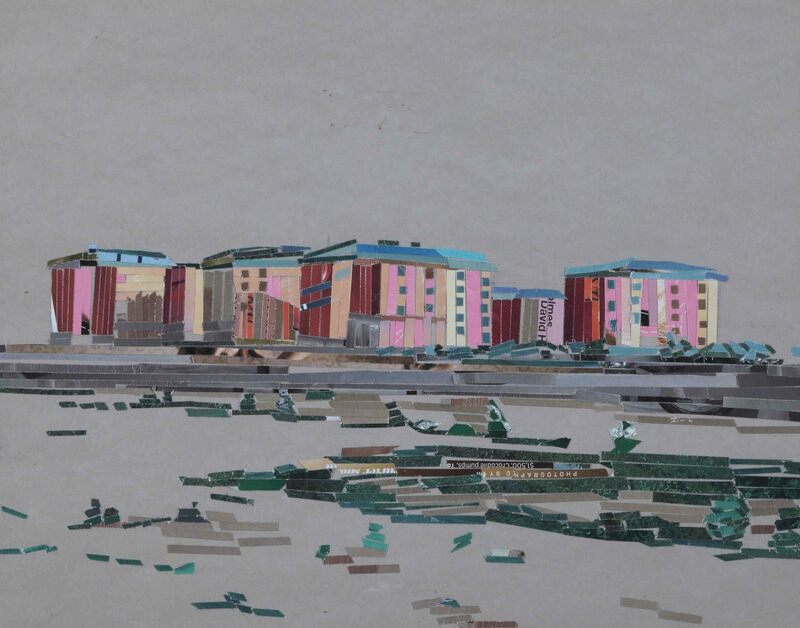 It is clear that the images Pancar constructs here are in reference to the various categories of the environmentally hazardous urban planning and architecture implemented across Istanbul for around ten years by a policy based on Islamic fundamentalism. 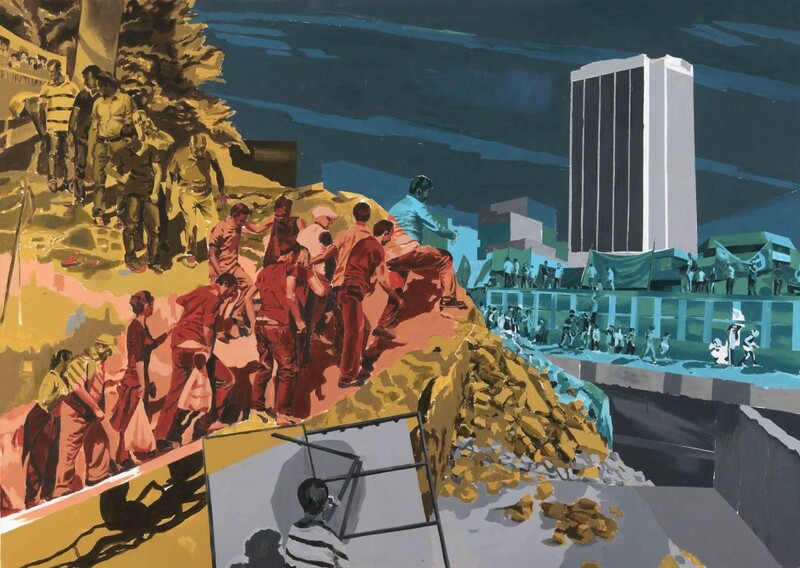 Furthermore, the Taksim-Gezi Park protests in Spring 2013 displayed a determined resistance against the authoritarian administration of the AKP and proved Pancar’s 20-year visual interpretation of the city right. 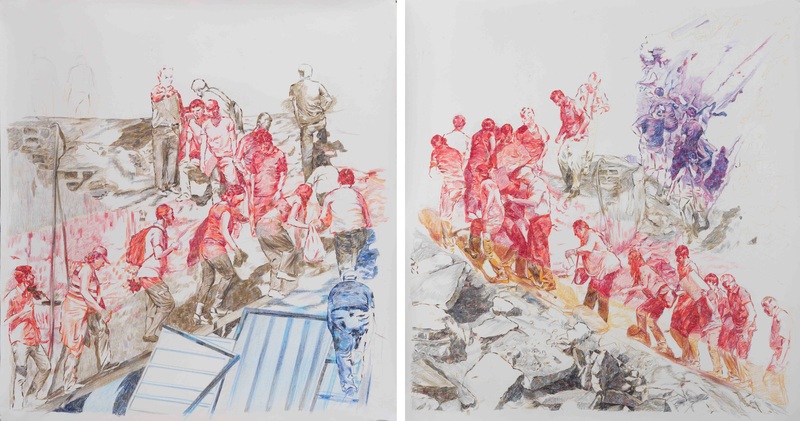 Pancar documented the Gezi uprising with photographs, and his drawings that show groups of people, lined up in formation to protest are based on these photographs. We must emphasize, especially for this period, the importance of Pancar’s effort to reassess and reconsider the content of his work. From an aesthetic viewpoint, we must also state that the compositional order in these paintings reveals characteristics similar to Ottoman miniature paintings and Early Modern period paintings. In the miniature paintings of the Shahnameh and the Zafarnama, and in miniature paintings of war, palace and ceremonies at the Topkapı Palace and the Hippodrome we see clusters of people. These groups of people form waves in front of the background formed of naively illustrated architectural buildings. 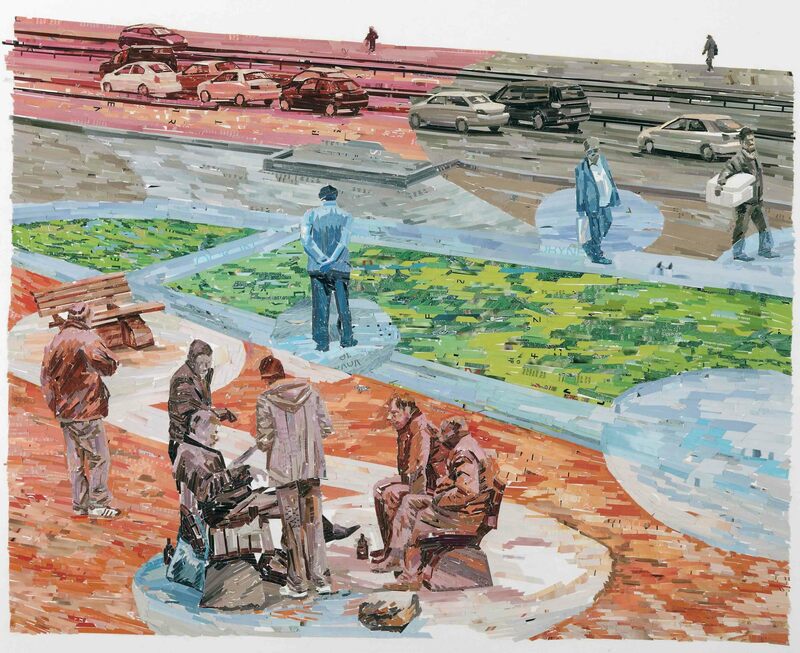 The way in which groups of people are placed in an undulating pattern by forming a harmonious combination between and in front of fields of colour and urban scenes, and the measured formation of figures, are strikingly reminiscent of the order of figure groups in miniature paintings. 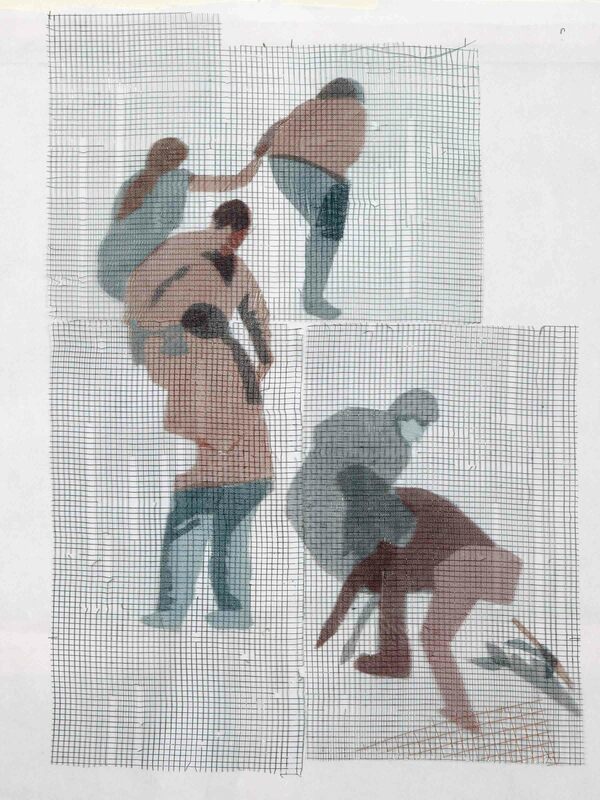 In the small-scale works in his new series, produced using the collage technique, Pancar retains the fields of colour and figure-based narrative that appear in his large oil paintings and drawings. 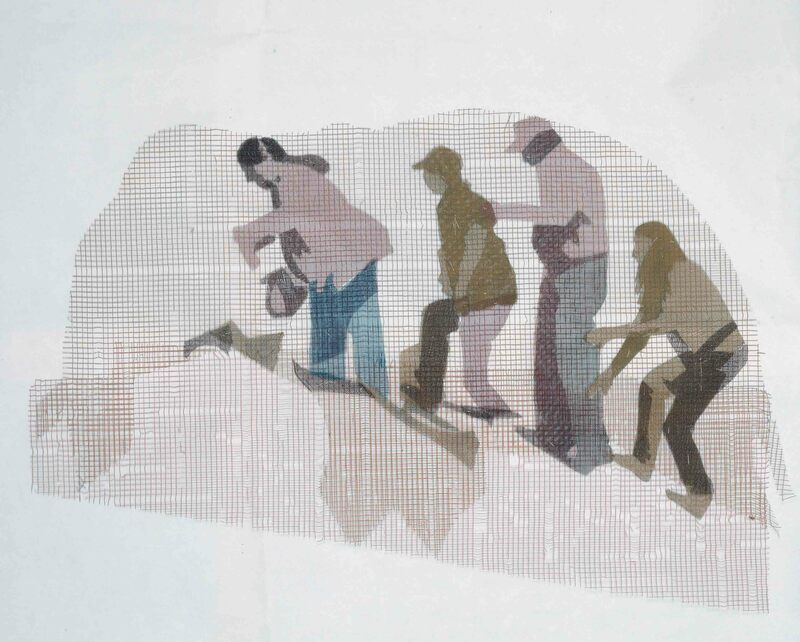 The concept and content remain the same in these smaller paintings, whereas in the new collages produced with a transparency-technique figures are presented as a complementary depiction. Istanbul was always a prominent subject matter of the art of painting in the diverse styles of 20th century painting. Painters like İbrahim Çallı, Hikmet Onat, Namık İsmail, Avni Lifij and Feyhaman Duran, who received their training in France in the years 1910-1914, and internalized the movements of Impressionism and Symbolism to the realm of Ottoman painting, reflected Istanbul landscapes from an orientalist and poetic viewpoint. 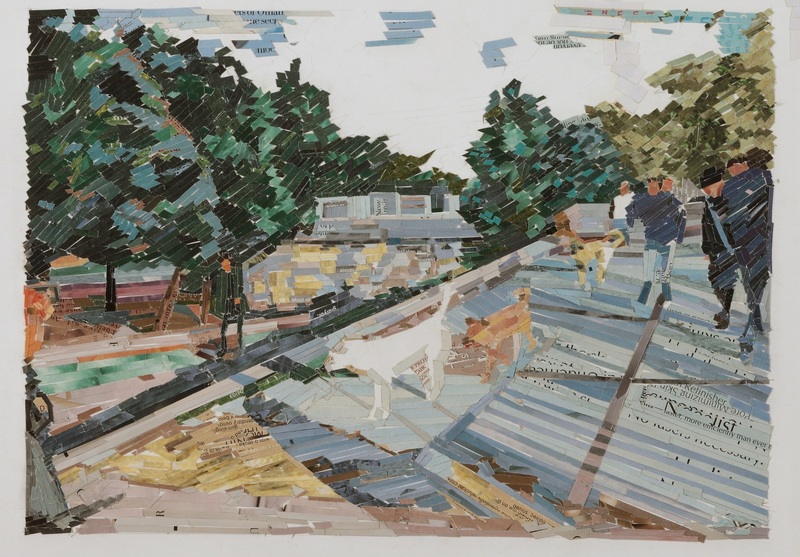 Later, “Group Ten” painters like Bedri Rahmi Eyüboğlu placed traditional and modern stylistic elements of everyday life into their urban landscapes. 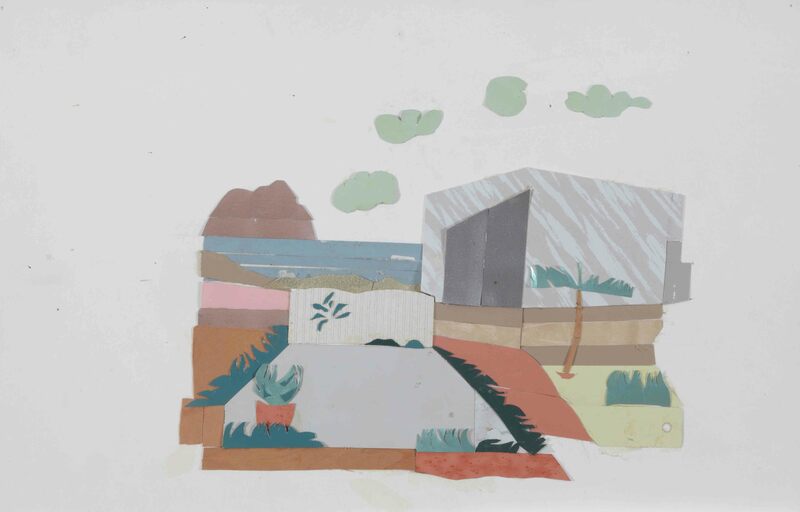 Autodidact painter Cihat Burak’s paintings and drawings from the 60s and 70s are examples of the compromise between tradition, modernity and everyday life. Pancar’s series of paintings also pay homage to the memory formed by the poetic and realist, popular urban imagery of this Modern period. The work Pancar carries out in order to create a compromise between abstract and figurative is in fact also a settling of accounts with the artists of the late-Modern period who separately categorized the abstract by linking it with “art for art’s sake”, and the figurative with “art for society’s sake”. This opposition failed, during that period, to enter into any compromise at all, whereas Pancar’s generation reconciled this rigid attitude with interdisciplinary methods and black humour. Here, one observes how art is treated as a means of social responsibility without overlooking everyday life, micro-economy or class identity, and this aggregate is also equipped with sustainable meaning. 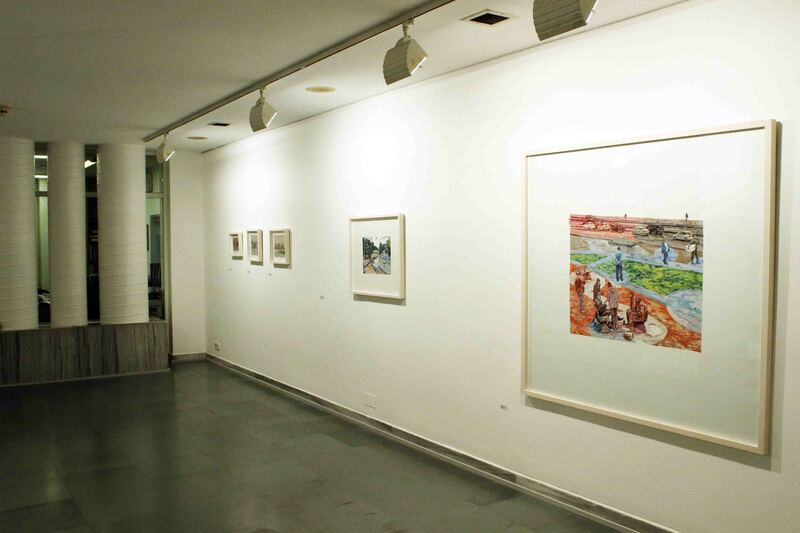 Pancar’s paintings show how masterfully this transformative operation is achieved. 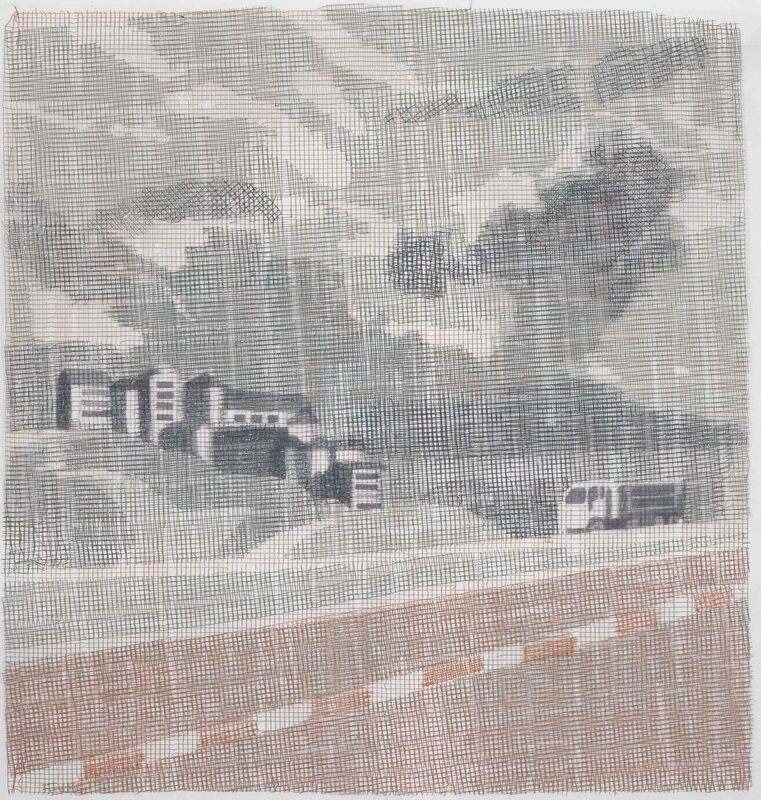 In these paintings that possess the depth provided by a memory that has developed over twenty years, Pancar weaves truth as subject matter. Within such a framework, this exhibition comprehensively summarizes his social-political stance, and his method of painting and artistic concept that combine the figurative and the abstract in diverse and independent potentialities.